It's no surprise that the British sailed around the world, twice, to collect breadfruit. The ulu is that important a crop. Rich in nutrients, versatile, drought-resistant and darned easy to farm. You just plant them once, and then harvest fruit for the rest of your life. 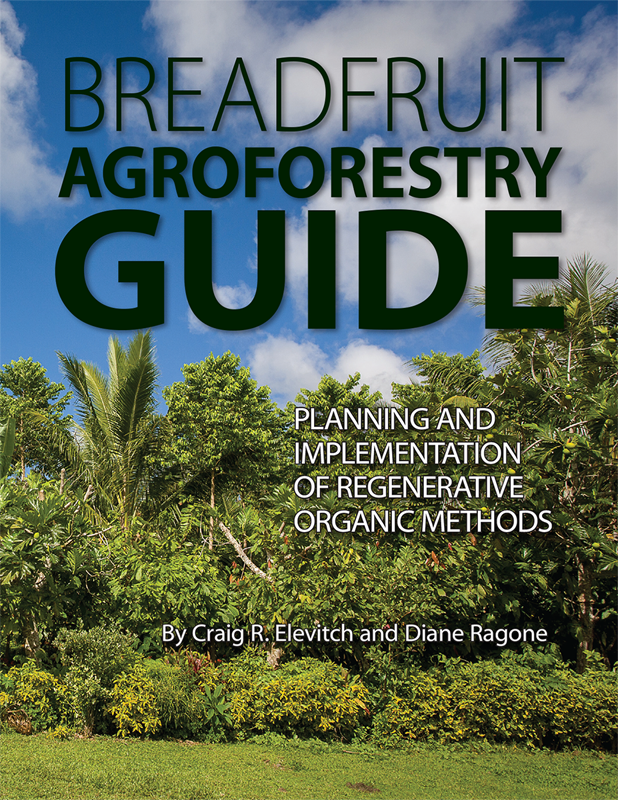 That work of food production in the tropics and subtropics is going to get easier still with the guidance from Craig Elevitch and Diane Ragone's new volume, Breadfruit Agroforestry Guide: Planning and Implementation of Regenerative Organic Methods. Elevitch is Director of Agroforestry Net and Ragone is director of the Breadfruit Institute at the National Tropical Botanical Garden. Their new book is available as an ebook from the National Tropical Botanical Garden website or in print for $19.95 at Amazon. The 72-page volume will be useful to home growers, but it's designed for agricultural professionals and extension agents, and it's an unabashed paean to the tropical and subtropical tree in complex food production systems. The mission of the authors is not only to point up the value of breadfruit as a species, but to celebrate its role in a food forest—as part of an agroforest. Traditional Pacific societies grew breadfruit as part of a forest garden that might include taro, sugar cane, ti, banana, kava, noni and many other crops. They argue that such a system doesn't require external fertilizers and buffers the impacts of fluctuation in markets for single crops. Multi-story agroforestry captures carbon in the soil, protects plants from the wind and reduces moisture loss. The National Tropical Botanical Garden has a research agroforestry breadfruit garden at its McBryde Garden on Kaua`i. And it has a collection of about 150 breadfruit varieties at Kahanu Garden on Maui and at McBryde. There are many varieties of breadfruit. The traditional Hawaiian seedless variety is just one. Others fruit at different times, produce crops that taste different, and some have seeds that can be eaten like chestnuts. Trees product a hundred to several hundred fruit annually, often in two seasons. The fruit is edible at any stage. Unripe fruit can be cooked and eaten as a vegetable; soft ripe fruit are eaten as a starch, and they can be baked, fried or used in any number of dishes. I visited an island in the Solomons where ripe breadfruit was dried for use in the season when they weren't available fresh. Other Pacific cultures preserve them underground. But they'll last a while on your kitchen shelf, and refrigeration works, too. 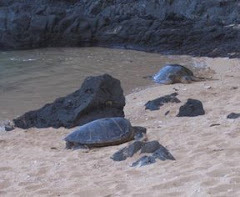 The book was funded by Patagonia Provisions, the Hawai`i Department of Agriculture, Kauai Office of Economic Development, and Western Sustainable Agricultural Research and Education. Its publishers are the Breadfruit Institute and Permanent Agriculture Resources. 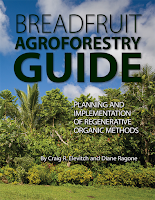 The same authors in 2013 produced what works as a companion volume: Breadfruit Production Guide: Recommended practices for growing, harvesting, and handling. You can download that one free here. But actually buying the books--search for them at Amazon--helps support the programs Ragone and Elevitch run. Carbon dioxide levels in the atmosphere continue to grow at a record rate, promising that climate change will continue long beyond our lifetimes. That's from data collected in Hawai`i—at the Mauna Loa Observatory, which has been collecting atmospheric CO2 data for 60 years. The Scripps release on the milestone is here. In May, those levels reached a record high of 411.31 parts per million. The latest tally was released last week by scientists from Scripps Institution of Oceanography at the University of California San Diego and NOAA. And despite international efforts to control emissions, they appear to not be effectively under control. 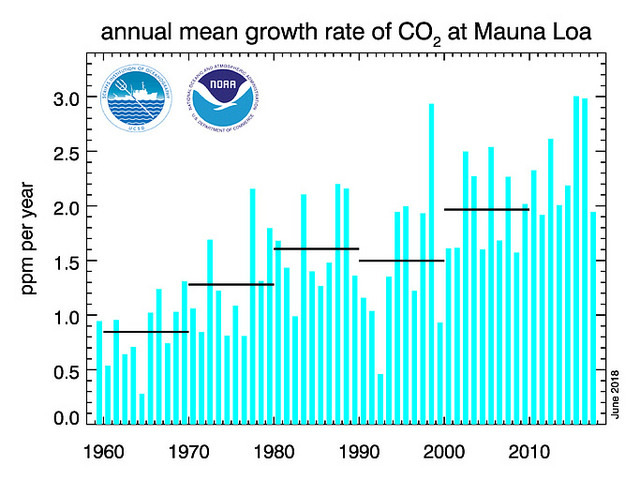 The level of emissions is not only continuing to grow, but it's growing faster. It was growing at 1.5-1.6 parts per million in the 1980s through 1990s, but during the past 10 years has been growing at 2.2 parts per million. “Many of us had hoped to see the rise of CO2 slowing by now, but sadly that isn't the case. It could still happen in the next decade or so if renewables replace enough fossil fuels,” said Scripps CO2 program director Ralph Keeling, whose father Charles Keeling started the Mauna Loa CO2 program in 1958. But while it's possible to reverse the growth trend in CO2, for species of all kinds, including humans, the future isn’t bright. “Today's emissions will still be trapping heat in the atmosphere thousands of years from now.” Pieter Tans, lead scientist of NOAA’s Global Greenhouse Gas Reference Network. With Kilauea volcano erupting continually for so long, many ask if that has a significant impact on atmospheric carbon dioxide. Researchers say it's clear that most of the CO2 change is from fossil fuel use, not the volcano. And the proximity of Kilauea to Mauna Loa is also not a big factor. 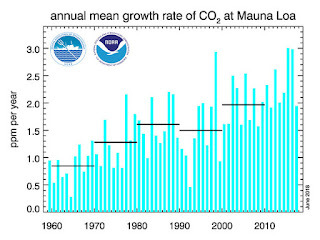 The high rate of growth in atmospheric CO2 is not only being observed at Mauna Loa but also at other sites in NOAA’s Global Greenhouse Gas Reference Network. It may be hard to think of something rats are good for, but a team of scientists has figured out a unique way to look into the history of Pacific islands—using rats. They looked into the bones of rats from ancient archaeological sites, and it turned out that they could extract information from the marrow of rat bones. They were able to figure out what the rats were eating over time, and from that, make assessments about the changing island environment. A new study on this work was just published in the Proceedings of the National Academy of Sciences. The authors are Jillian Swift, Patrick Roberts and Nicole Boivin of the Max Planck Institute for the Science of Human History, and Patrick Kirch of the Univeristy of California-Berkeley Department of Anthropology. The paper is entitled "Restructuring of nutrient flows in island ecosystems following human colonization evidenced by isotopic analysis of commensal rats." Some definitions: Isotopes are forms of the same element that have different numbers of neutrons in the nuclei. Isotopic analysis in this instance is studying changes over time in the mix of isotopes of certain elements—in this case carbon and nitrogen. And commensal means living with something, without causing it any particular help or harm—in this case rats living among humans. When early Polynesians arrived on Pacific islands, they almost always brought Pacific rats with them. 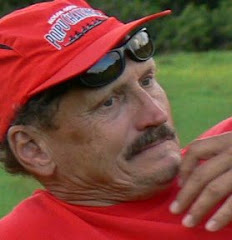 People argue over whether that was intentional or not, but it almost always happened. Pacific rats, or Polynesian rats, are Rattus exulans. And those rats quickly went out on their own, foraging initially in the virgin environment, and later in the environment that humans had created through bringing new plants, slash and burn agriculture and so forth. "Stable isotope analysis of commensal animals provides an effective proxy for local human environments because these species are closely associated with human activities without being under direct human management," the authors write. They studied rat bones from archaeological sites in three Polynesian island areas: Mangareva, Ua Huka in the Marquesas and Tikopia far to the west. They found that their study of rats was able to track dramatic changes in local environments, demonstrating "human land use, intensification and faunal community restructuring." 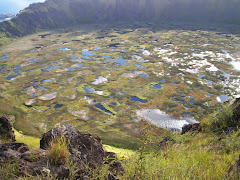 More specifically, "Our results highlight the large-scale restructuring of nutrient flows in island ecosystems that resulted from human colonization and ecosystem engineering activities on Pacific islands." This is complicated stuff, and I won't go into details on how the lab work was done, but you can look it up yourself here. This is data that the authors say is hard to get from standard analysis of early archaeological remains, and it suggests that this kind of stable isotope analysis can help shed more light on how and how quickly humans changed their environments after arriving on Pacific islands. It is also true that the rats themselves did a lot of that modification of ecosystems—eating birds and insect and seeds and seedlings. But that's all part of the story, since it was humans who brought the rats to these new environments.